The DME Mill in Malaita supports nearly 1500 people in a place where there is very little employment opportunity and cash flow. It’s called “re-tyre-ing”, when rather than retire, people do a tyre change and just keep going! In two very different countries two couples retired and started running businesses. And the connection? Coconuts! In Australia Dr Dan and Maureen Etherington started Kokonut Pacific/Niulife. 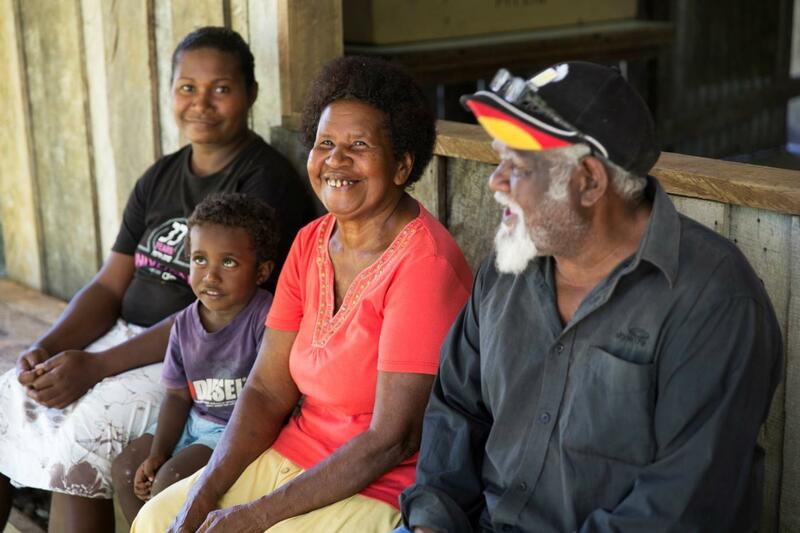 And in the Solomon Islands Joses and Janet Naumai used the technology developed by Dr Dan to start a business in their remote coastal village. Both couples are passionate about empowerment and erasing poverty. After 30 years working for the Government and a phone utility, Joses retired to life in Namo Lae Lae, a small village in Malaita Province Solomon Islands. With 7 children and 26 grandchildren, he wanted to find a way to provide opportunities for the ever growing family in their rural community. They loved the idea of a Direct Micro Expelling (DME) Virgin Coconut Oil (VCO) mill right in their village of more than 100 people. Dr Dan retired from university teaching agricultural economics after being inspired by the potential of coconuts to help the rural poor. He didn’t want to just teach, he wanted to erase poverty, forever. Coconut farmers traditionally are enslaved by poor commodity prices for copra, a debased coconut product used to make processed coconut oil in foreign factories. Dan saw the opportunity to make a difference. When the two couples met in September 2016 there was great warmth and friendship. Their daughter Christobel Mao was also there with her three children, Janet, George and 3-year-old Richard – named after Richard Etherington, Dan and Maureen’s son (and now Managing Director of Kokonut Pacific/Niulife). Since 2007 Joses and Janet have been champion VCO DME producers at their RELA mill, one of the longest running DME units in the Solomons. They made 28 thousand litres of premium DME oil in 2014 & 2015, an average of 60 litres a day, all of which meets the premium quality export standards. Their enterprise buys 1000 local coconuts a day from 14 (soon to be 17) organically certified farms. Each farm is run by approximately 3 families supporting about 29 people, mostly children. So the Rela DME mill, in buying coconuts locally, supports nearly 1500 people in a place where there is very little employment opportunity and cash flow. The only other option for coconut growers is the laborious process of copra production which is still made in the village, from poor quality nuts rejected by the mill. DME is much easier and the money is better. 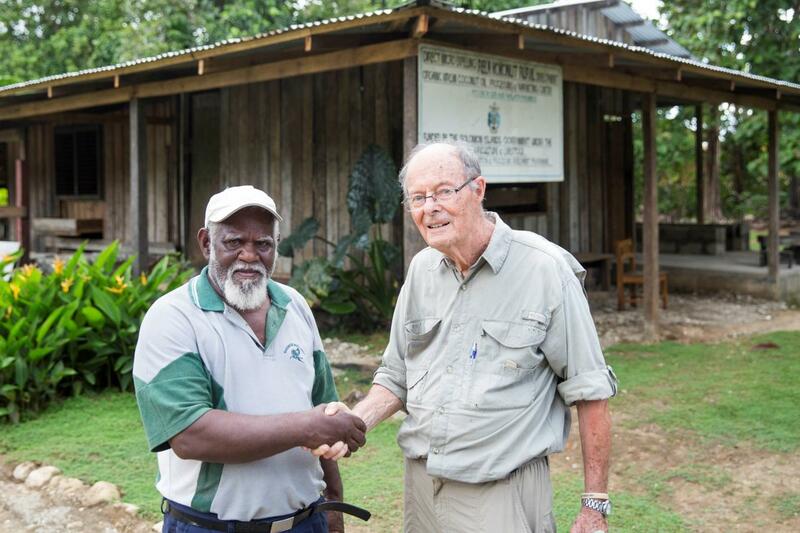 Over the many years of operation they have helped the community establish a school by sponsoring a local man to get full university qualifications as a teacher. And they have a coconut kindergarten. The parents pay in coconuts, which are processed in the DME processing plant. Next door the Taiwanese Agriculture Department has set up a pig farm. This provides a ready and steady market for by-products from the DME process like the press cake and coconut water which remains after the oil is pressed and makes an excellent livestock feed. The whole process has been designed so nothing goes to waste and there are diverse streams of income, protecting the locals from the cycles of commodity prices which impact hardest on the poor farmers. And Janet swears by the press cake as chicken feed, with her hens all producing lots of eggs and healthy chicks. She has a hen house under construction so she can collect and sell the eggs. The reason the Rela Mill oil is never rejected is because Janet has been making and selling soap from the coconut oil that is not quite up to the high DME standards. This is another stream of income and another way the DME process empowers people to be self-sufficient. It also keeps money in the village. Nothing is wasted. The beauty of DME is that everything is used, providing multiple streams of income for the owners and the associated businesses that spring up around the DME unit. Their seven children now work in many aspects of the business. Ismael is working for the local buyer, Kokonut Pacific Solomon Islands, helping install new DME units across the 900 island archipelago. Joses and Janet are now extending their DME operation – after renovations they will have two presses, three graters and three driers. This should double both their capacity to produce virgin coconut oil and its positive impact on the village people around them. Meanwhile Dr Dan is celebrating his 80th birthday and Maureen her 76th birthday in 2016. While they have handed over active management of the company to the Board and their son Richard, re-tyre-ing means they are planning many more trips to the Solomons, as there are another 15 new DME mills coming on line in the near future.